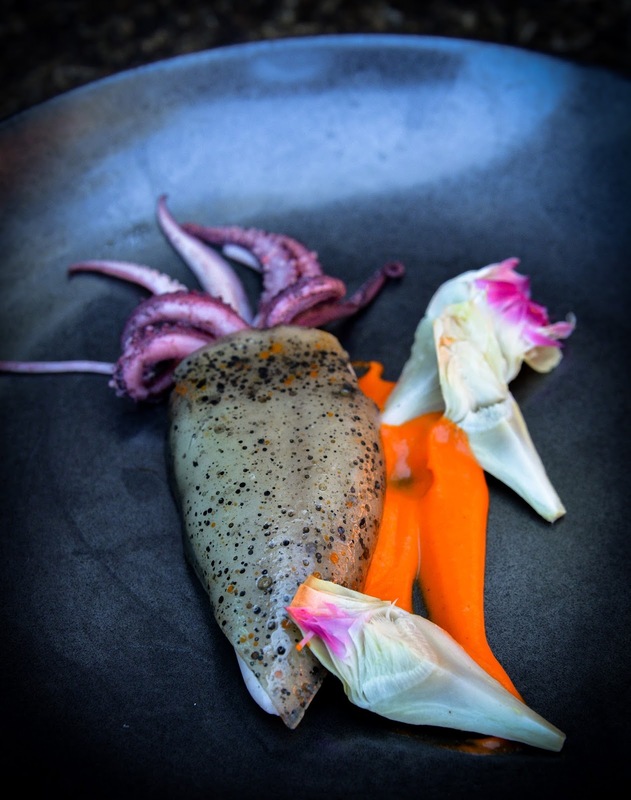 This is a local squid that we have stuffed with chorizo and slowly cooked sous vide. Once the squid is ready to plate we top it with a transparent sheet of “skin” made with chorizo, sherry vinegar and ink. We serve it with Basque pepper puree and local baby artichokes. Sous Chef Michelle spent a lot of time developing this idea and getting the skin just perfect and I think the result is stunning!